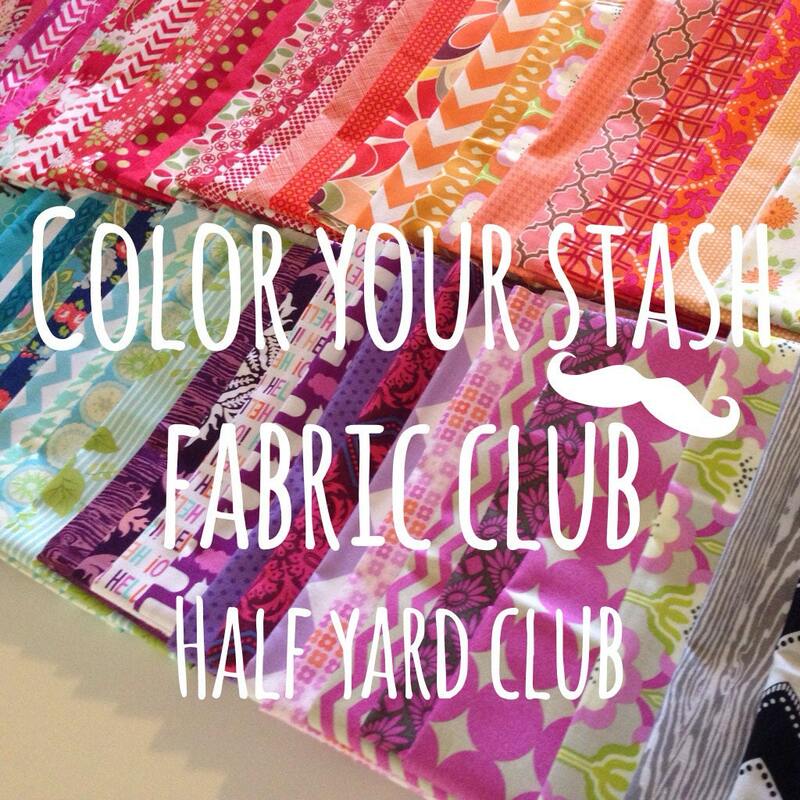 Color Your Stash Club, half yard option! 8 Half Yards per month plus bonus aurifil thread. Price is $40 per month (regular prince would be $49). 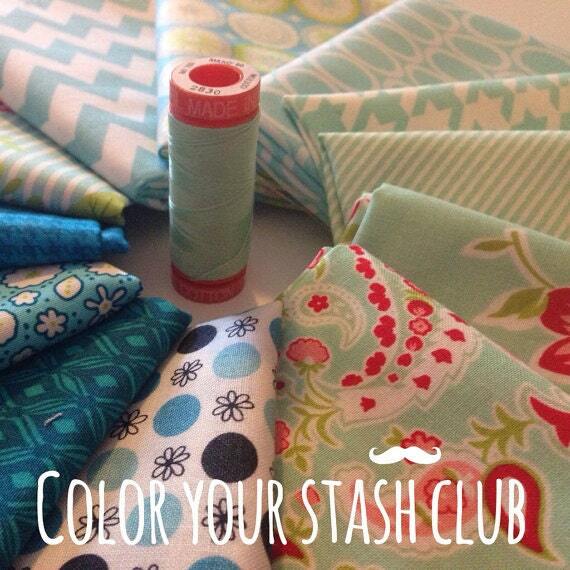 It's the Color Your Stash monthly fabric club by Fabric Shoppe!! 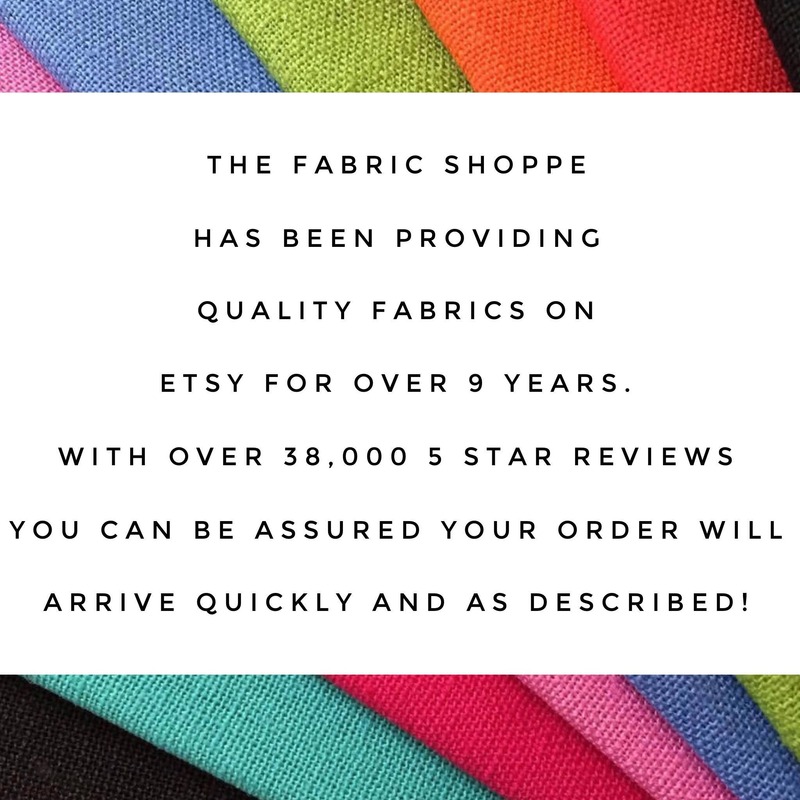 Who loves fabric and wants to add a little more color to your fabric collection? Are you overwhelmed with choices when you shop for fabric? Love the prints your friends use but never seem to purchase them for your collection? Would you want a fun bundle of fabric and matching aurifil thread to arrive on your doorstep every month? Yes? Then we have a fun monthly fabric club for you! You can join the club at anytime. We ship the monthly packages around the 10th of each month! Each month we will put together a lovely stack of 8 print fabrics from the Fabric Shoppe. Package will follow the color schedule below (and shown in the pictures). These are quilt shop quality modern cotton prints. No solids or basics. For example for June you will receive a package of 8 prints that are aqua from light to dark as well as a matching auriful thread! 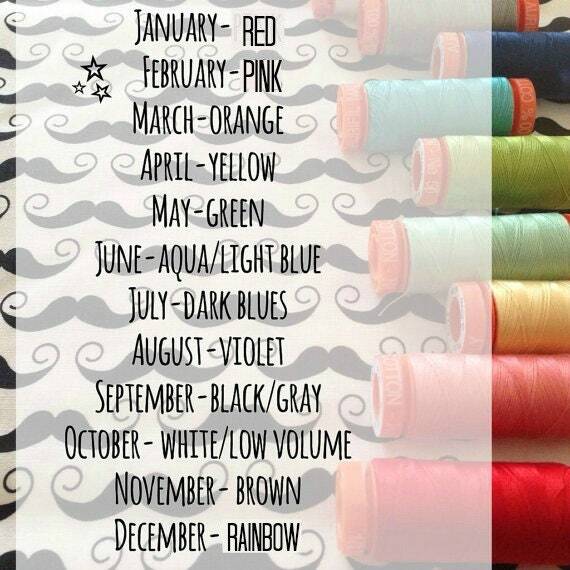 Each month you will also get a bonus matching spool of Aurifil thread. Yipee!! Aurifil is everyones favorite sewing splurge. And club members will have a colorful collection to choose from at the end of the year! Purchase the listing for the option you are interested in. This will pay for your first month and we will ship that to you. We will send you info to set up your subscription. Your box will ship automatically every month! What fun! To top it off we have a few fun things planned for members! 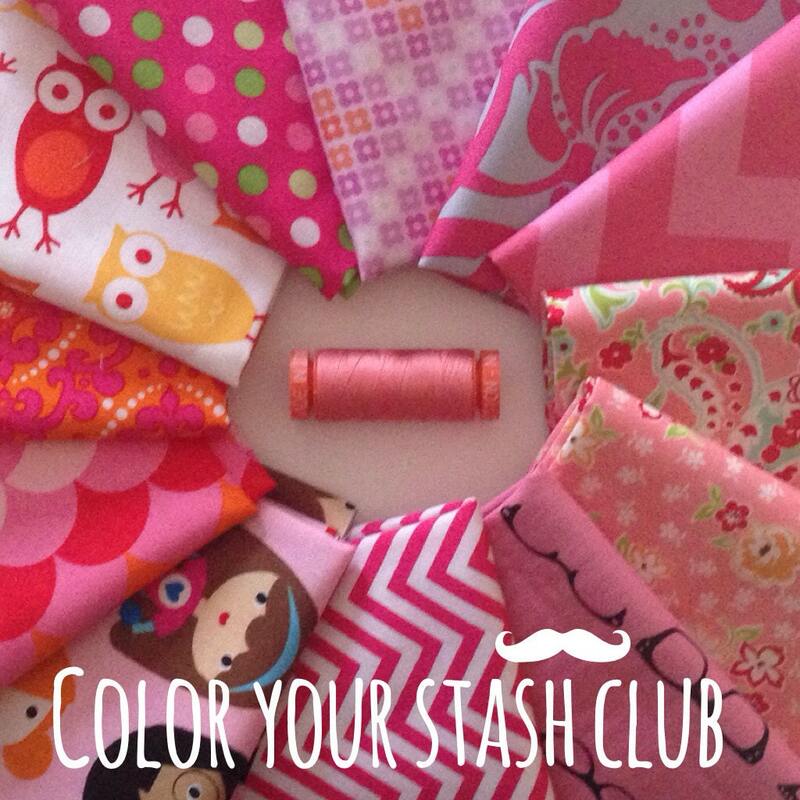 Tag pics on Instagram, Flickr or Twitter of your packages, growing stash, or sewing projects with #coloryourstashclub to meet other fabric lovers and you could win prizes like one month of Color Your Stash free or a double your package for free!! No risk! You can cancel at any time! But we know you are going to love these goodies arriving at your door every month. WEve had members belong to the club for over 4 years. However 1 year is the average. Feel free to contact us if you have any additional questions. I received the white/low-volume edition. Wonderful fabric, quick shipping, and great communication. Thanks! I love the fabrics that arrive in the package each month. I make one of a kind children's clothes for charity with the fun fabric that I purchase from this site. Getting these surprise pieces makes my day. They are good quality and packaged well. Seller is polite and helpful.